THEIR HABITATS IN KOREA AND THE WIDER YELLOW SEAS ECO-REGION. BIRDS KOREA HAS A BLOG! For much more frequent and up-to-date information on our activities, please visit our blog! Or, click on the links below to view and engage in our most popular topics. 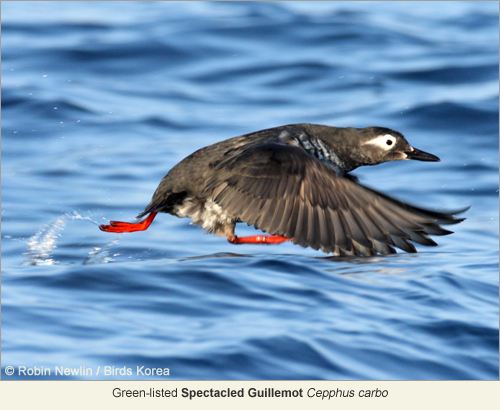 Our current site is a collection of 10+ years of resources dedicated to various information about the Birds of Korea. Browse our Menu Bar on the top and the Main Navigation on the left hand side for highly specialized and detailed information about Birds, Habitats and the various works that Birds Korea members do. 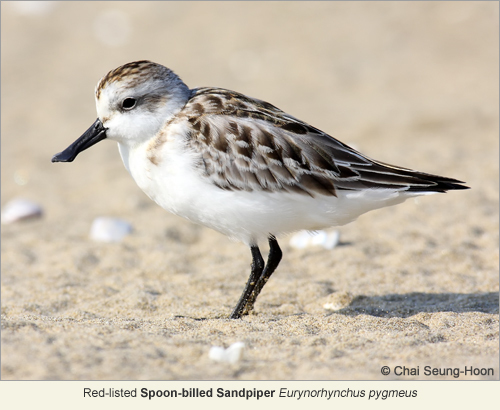 Birds Korea is dedicated to the conservation of birds and their habitats in Korea and the wider Yellow Sea Eco-region. Founded in 2004, we are an independent, legally-registered Korean NGO that works through research, planning and education. Our membership is diverse in background, interests and experience. Nonetheless, all of us believe that conservation of biodiversity is a key element of genuinely sustainable development (benefiting people as well as other species); and that decision-makers need best information if they are to make wise decisions that are in both the national and global interest. 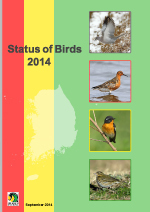 Birds Korea therefore published Status of Birds, 2014 this September, detailing honestly many of the changes to bird populations and the national landscape. 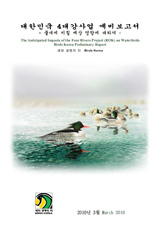 The English-language version of this important report is now being shared with our members, with decision-makers and other participants of the twelfth meeting of the Conference of the Parties to the Convention on Biological Diversity being held in Pyeongchang (October 6th-17th 2014), and at related meetings. The abstract of our report is presented below, along with an introductory presentation and a pdf of the full report for free download. The challenges ahead are enormous, but with your support Birds Korea will continue to help the nation in its efforts to meet existing conservation obligations by reducing the rate of biodiversity loss by 2020. Please join and support Birds Korea. The Aichi Biodiversity Targets (the “Aichi Targets”) provide important targets and deadlines for conservation action within the present decade. Meeting these targets requires an understanding of the present status of biodiversity at the national and global level. 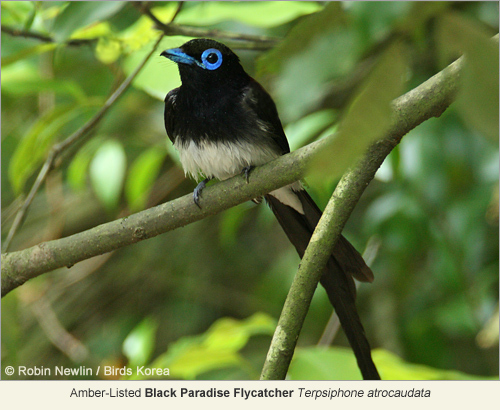 Bird species and their habitats are an important component of the biodiversity of the Republic of Korea (ROK). 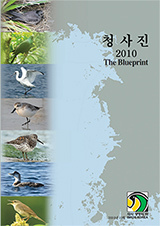 However, in the ROK, as in many parts of East Asia, there has been only a short history of bird survey and monitoring. Easily accessible information on national and regional population trends of many species is lacking, and several recent assessments of species and their habitats lack adequate detail, contain inconsistencies or are presented in ways that limit their usefulness. Birds Korea therefore conducted research (including extensive literature review, fieldwork and analysis) to identify bird population trends in the ROK over two overlapping time-scales, historical (1910-1999) and recent (1990-2014). 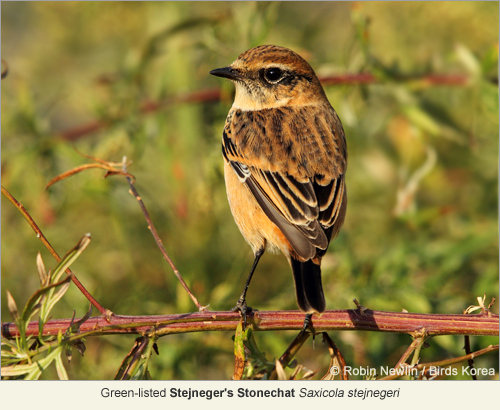 Using a range of published and unpublished materials, we assessed the status and population trends of all of the nation’s 365 regularly-occurring bird species, and identified historical or recent population trends in 258 species. We found (substantial) historical declines in 120 species and recent decrease in 103 species. A total of 44 species decreased during both time-periods and an additional five regularly occurring species were found to be lost to the national avifauna since 1910. One of these species is now presumed to be extinct globally. One endemic subspecies also became extinct during the Twentieth Century. During the same time-frames, there was historical increase in 61 species and recent increase detected in 77 species, including in four Globally Threatened species and three recent colonists. To improve accessibility and ease of understanding of these changes in population and national status, we divided all 365 species into four major categories, including a Red List (Highest Priority species) and an Amber List (High Priority Species). These categories and the criteria for them follow an approach used successfully outside of the region. Species with estimated declines of >50% since 1990 and / or which are Globally Threatened and / or which meet other clearly-defined criteria were placed on the Red List (n=53) and those which are globally Near Threatened and / or which have declined between 25% and 49% since 1990 and / or which meet other specific criteria were placed on the Amber List (n=73). 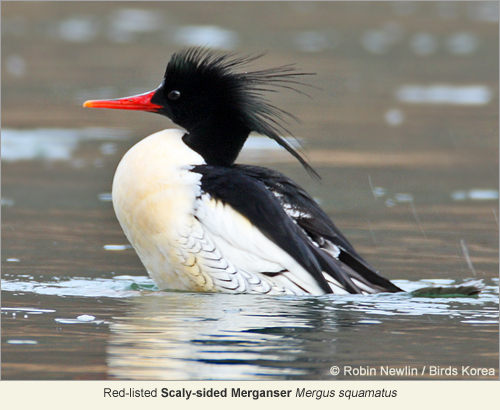 The majority of Red-Listed (60%) and a substantial proportion (43%) of Amber-Listed species are waterbirds (as defined by the Ramsar Convention). The need for improved conservation of intertidal and freshwater wetland is clearly identified through this process. 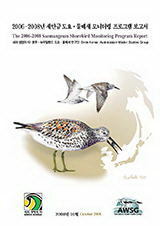 The information and data on birds in the ROK are not yet as robust as those gathered through large-scale monitoring programs that have already been conducted for several decades in some other regions. Our assessments are also not at present endorsed by bodies in the ROK responsible for developing the formal national Red List in accordance with IUCN criteria. However, these initial assessments can be revised at regular intervals, to improve their accuracy and to help assess progress; and the accompanying information and recommendations in this report can also be used to help build scientific consensus and public awareness. In consideration of existing conservation obligations and time-frames, and in light of the precautionary principle, we therefore believe that presentation of best information in this way should be of great value to researchers and decision-makers in their efforts to fulfill national and regional conservation obligations including the Aichi Targets by 2020. 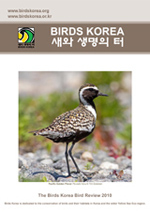 This is the English language website of the conservation organisation, Birds Korea (our Korean language site is at http://www.birdskorea.or.kr). Online since February 2002, we work to conserve birds and their habitat in the Republic of Korea and the wider Yellow Sea eco-region. NB: While all efforts are made to protect intellectual copyright and to respect authorship and ownership, material is posted on this site entirely to assist with our conservation aims.